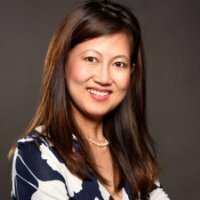 Malaysian women in the communications industry have come a long way, but now is time for the senior female executives to help the new entrants carve a niche for themselves in the industry, believes Yuni Lee Heathcote, the country director of Telstra Malaysia. Telstra has been operating in Malaysia for 15 years, but it started sales operations only five years back in the country. Heathcote is heading a workforce of 100 employees, 30% of which are women in Malaysia. Though her education was primarily in the finance side of the business, she has a strong telco background having worked at Maxis and YTL before joining Telstra about three and a half years back. In a freewheeling interview, Heathcote talks at length about her career journey and the issues faced by the women in the industry. She believes that women make up nearly 40% of the telecom workforce in Malaysia. Women in Comms: Tell us a bit about the challenges faced by women in the communications industry in Malaysia? Yuni Lee Heathcote: Telecom industry (I mean the wireless side) in Malaysia is just ten to 15 years old, so the society was resistant to let women work in this sector... maybe because not much was known about this industry, unlike medicine and finance, for instance. And because people don’t know much about it, there were no communities or platforms to encourage and support women to be a part of this industry. However, women's workforce in Malaysian's telecommunications industry has improved tremendously, and I can say that at least 40% are women. But this is including all the functions like engineering, finance, legal, administration, etc. At the same time, there are very few women in leadership roles in the communications industry. In this part of the world, there is a lot of social expectations from women, and we need to fulfill our obligations and responsibilities as wives, mothers and other social roles. This is also slightly changing now because of the influence of western media and the Internet. It will take time for women to take leadership roles. We have to fight for our place in the leadership roles. As a woman, I can say that we have to work doubly hard to prove that we can do certain things. WiC: What steps are you are taking in your organization to promote gender diversity? YLH: At Telstra, we have a strong policy to promote gender diversity. This is the first time that I am working in a global organization, so when I joined I was impressed with the organization’s policy in ensuring gender diversity and equality. In Malaysia, I am spearheading an initiative called "Brilliantly Connected Women." It is an internal program at Telstra to encourage gender equality. Every quarter we bring female leadership from a very different background. They share their experiences and the learnings from their journey. They also share the challenges they faced as a woman. So until now, I have got six to seven female leaders to visit Telstra office here. By the end of the talk, the staff is appreciative, not just because it is another two hours away from work [laughs] but because of their stories. It is motivating and inspiring and helps people to think of how they would want to apply her learnings to their journey. 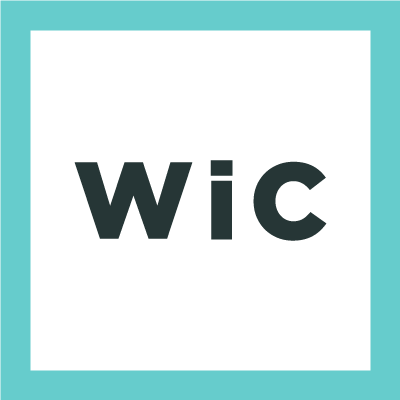 WiC: What would be your advice to women who want to take up a career in the communications industry? YLH: It is undoubtedly different for women who are starting now. They have more community and guidance which we [women in her generation] never had. Women leadership community has expanded, and we want to give back, not just in the official role but sometimes unofficially as well. My key advice would be to stay passionate. Women now have a strong mindset, and it is terrific that they think of themselves as equal. At the same time, men are also changing, and they are starting to accept and help women professionals as friends and spouses. Both sides are raising the bar in terms of supporting the women in this industry. That helps a lot. WiC: Do you believe that the digital transformation of telcos helps in leveling the field for women professionals in the industry? YLH: Yes, definitely... it is a new marketplace in a way. A new sub-industry of the communications industry, so it attracts a number of young professionals. It is great to see that this new segment is very open to equality. So it is very natural for women to be a part of this industry. In the digital world it is all about capability, how innovative you are and how well you are doing your job.